John Singer Sargent (January 12, 1856 - April 14, 1925) was the leading portrait painter of his era, known for representing the elegance and extravagance of the Gilded Age as well the unique character of his subjects. He was also facile in landscape painting and watercolors and painted ambitious and highly-regarded murals for several significant buildings in Boston and Cambridge — the Museum of Fine Arts, the Boston Public Library, and Harvard's Widener Library. Sargent was born in Italy to American expatriates, and lived a cosmopolitan life, equally respected in both the United States and Europe for his prodigious artistic skill and talent. Although American, he didn't visit the United States until he was 21 and therefore never felt completely American. Nor did he feel English or European, which gave him an objectivity that he used to his advantage in his art. Sargent was a descendant of the earliest American colonialists. His grandfather had been in the merchant shipping business in Gloucester, MA before moving his family to Philadelphia. Sargent's father, Fitzwilliam Sargent, became a physician and married Sargent's mother, Mary Newbold Singer, in 1850. 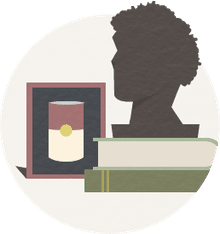 They went to Europe in 1854 after the death of their firstborn child and became expatriates, traveling and living modestly off savings and a small inheritance. Their son, John, was born in Florence in January 1856. Sargent received his early education from his parents and from his travels. His mother, an amateur artist herself, took him on field trips and to museums and he drew constantly. He was multilingual, learning to speak French, Italian, and German fluently. He learned geometry, arithmetic, reading, and other subjects from his father. He also became an accomplished piano player. In 1874, at the age of 18, Sargent began studying with Carolus-Duran, a young accomplished progressive portrait artist, while also attending the École des Beaux Arts. Carolus-Duran taught Sargent the alla prima technique of the Spanish painter, Diego Velazquez (1599-1660), emphasizing the placement of decisive single brush strokes, which Sargent learned very easily. Sargent studied with Carolus-Duran for four years, by which time he had learned all he could from his teacher. Sargent was influenced by impressionism, was friends with Claude Monet and Camille Pissarro, and preferred landscapes at first, but Carolus-Duran steered him toward portraits as a way to make a living. Sargent experimented with impressionism, naturalism, and realism, pushing the boundaries of the genres while making sure his work remained acceptable to the traditionalists of the Académie des Beaux Arts. The painting, "Oyster Gatherers of Cancale" (1878), was his first major success, bringing him recognition by the Salon at the age of 22. Sargent traveled every year, including trips to the United States, Spain, Holland, Venice, and exotic locations. He traveled to Tangier in 1879-80 where he was struck by the light of North Africa, and was inspired to paint "The Smoke of Ambergris" (1880), a masterful painting of a woman clothed in and surrounded by white. The author Henry James described the painting as "exquisite." The painting was lauded at the Paris salon of 1880 and Sargent became known as one of the most important young impressionists in Paris. With his career flourishing, Sargent returned to Italy and while in Venice between 1880 and 1882 painted genre scenes of women at work while continuing to paint large-scale portraits. He returned to England in 1884 after his confidence was shaken by a poor reception towards his painting, the "Portrait of Madame X," at the Salon. Novelist Henry James (1843-1916) and Sargent became lifelong friends after James wrote a review praising Sargent's work in Harper's Magazine in 1887. They formed a bond based on shared experiences as expatriates and members of the cultural elite, as well as both being keen observers of human nature. 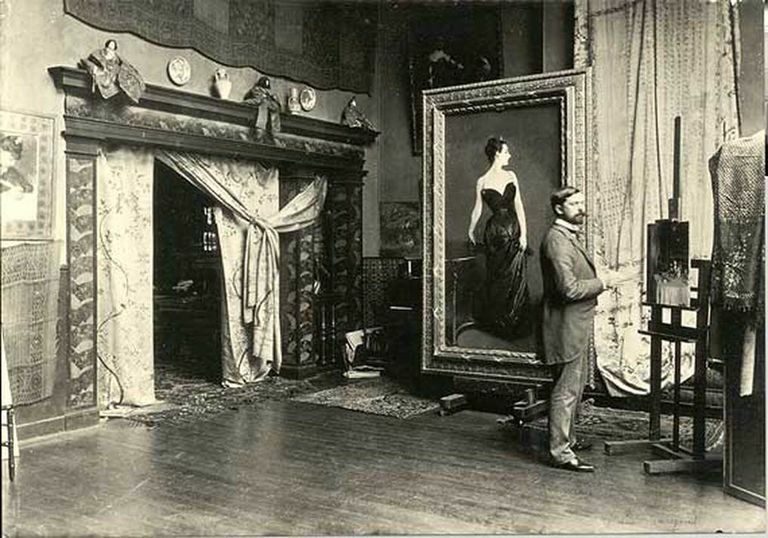 It was James who encouraged Sargent to move to England in 1884 after his painting, "Madame X" was so poorly received at the salon and Sargent's reputation was sullied. Following that, Sargent lived in England for 40 years, painting the wealthy and elite. In 1913 James's friends commissioned Sargent to paint a portrait of James for his 70th birthday. Although Sargent felt a bit out of practice, he agreed to do it for his old friend, who had been a constant and loyal supporter of his art. Sargent had many wealthy friends, the art patron Isabella Stewart Gardner among them. Henry James introduced Gardner and Sargent to each other in 1886 in Paris and Sargent painted the first of three portraits of her in January 1888 on a visit to Boston. Gardner purchased 60 of Sargent's paintings during her life, including one of his masterpieces, "El Jaleo" (1882), and built a special palace for it in Boston that is now the Isabella Stewart Gardner Museum. Sargent painted his last portrait of her in watercolor when she was 82, wrapped in white fabric, called "Mrs. Gardner in White"(1920). By 1909 Sargent had grown tired of portraits and catering to his clients and began painting more landscapes, watercolors, and working on his murals. He was also asked by the British government to paint a scene commemorating World War I and created the powerful painting, "Gassed" (1919), showing the effects of a mustard gas attack. Sargent died on April 14, 1925 in his sleep of heart disease, in London, England. In his lifetime he created approximately 900 oil paintings, more than 2,000 watercolors, innumerable charcoal drawings and sketches, and breathtaking murals to be enjoyed by many. He captured the likenesses and personalities of many fortunate enough to be his subjects, and created a psychological portrait of the upper class during the Edwardian period. His paintings and skill are still admired and his work exhibited around the world, serving as a glimpse into a bygone era while continuing to inspire today's artists. "Fishing for Oysters at Cancale," 1878, Oil on Canvas, 16.1 X 24 In. "Fishing for Oysters at Cancale," located at the Museum of Fine Arts in Boston, was one of two almost identical paintings done of the same subject in 1877 when Sargent was 21 years old and just starting out in his career as a professional artist. He spent the summer in the picturesque town of Cancale, on the coast of Normandy, sketching the women harvesting oysters. In this painting, which Sargent submitted to New York's Society of American Artists in 1878, Sargent's style is impressionistic. He captures with deft brushstroke the atmosphere and light rather than focusing on the details of the figures. Sargent's second painting of this subject, "Oyster Gatherers of Cancale" (at the Corcoran Gallery of Art, Washington, D.C.), is a larger, more finished version of the same subject. He submitted this version to the 1878 Paris Salon where it received an Honorable Mention. "Fishing for Oysters at Cancale" was Sargent's first painting to be exhibited in the United States. It was very favorably received by critics and the general public and was purchased by Samuel Colman, an established landscape painter. Although Sargent's choice of subject was not unique, his ability to capture light, atmosphere, and reflections proved that he could paint genres other than portraits. "The Daughters of Edward Darley Boit," 1882, Oil on Canvas, 87 3/8 x 87 5/8 in. Sargent painted "The Daughters of Edward Darley Boit" in 1882 when he was only 26 years old and just starting to become well-known. Edward Boit, a Boston native and Harvard University graduate, was a friend of Sargent's and amateur artist himself, who painted with Sargent occasionally. Boit's wife, Mary Cushing, had just died, leaving him to care for his four daughters when Sargent began the painting. The format and composition of this painting show the influence of the Spanish painter Diego Velazquez. The scale is large, the figures life-size, and the format is a non-traditional square. The four girls are not posed together as in a typical portrait but rather, are spaced around the room casually in unposed natural positions reminiscent of "Las Meninas" (1656) by Velazquez. Critics found the composition confusing, but Henry James praised it as "astonishing." The painting belies those who have criticized Sargent as merely a painter of superficial portraits, for there is great psychological depth and mystery within the composition. The girls have serious expressions and are isolated from one another, all looking forward except for one. The two oldest girls are in the background, nearly swallowed by a dark passageway, which might suggest their loss of innocence and passage into adulthood. "Madame X," 1883-1884, Oil on Canvas, 82 1/8 x 43 1/4 in. "Madame X" was arguably Sargent's most famous work, as well as controversial, painted when he was 28 years old. Undertaken without a commission, but with the complicity of the subject, it is a portrait of an American expatriate named Virginie Amélie Avegno Gautreau, known as Madame X, who was married to a French banker. Sargent requested to paint her portrait in order to capture her intriguing free-spirited character. Again, Sargent borrowed from Velazquez in the scale, palette, and brushwork of the composition of the painting. According to the Metropolitan Museum of Art, the profile view was influenced by Titian, and the smooth treatment of the face and figure was inspired by Edouard Manet and Japanese prints. Sargent did over 30 studies for this painting and finally settled on a painting in which the figure is posed not only self-confidently, but almost insolently, flaunting her beauty and her notorious character. Her bold character is emphasized by the contrast between her pearly white skin and her sleek dark satin dress and warm earth-toned background. In the painting Sargent submitted to the Salon of 1884 the strap was falling off the right shoulder of the figure. The painting was not well-received, and the poor reception in Paris prompted Sargent to move to England. Sargent did repaint the shoulder strap to make it more acceptable, but kept the painting for more than 30 years before selling it to the Metropolitan Museum of Art. "Nonchaloir" (Repose), 1911, Oil on Canvas, 25 1/8 x 30 in. "Nonchaloir" shows off Sargent's immense technical facility as well as his distinctive ability to paint white fabric, infusing it with opalescent colors that accentuate the folds and highlights. Although Sargent had grown tired of painting portraits by 1909, he painted this portrait of his niece, Rose-Marie Ormond Michel, purely for his own pleasure. It is not a traditional formal portrait, but rather a more relaxed one, depicting his niece in a nonchalant pose, casually reclined upon the couch. According to the description by the National Gallery of Art, "Sargent seems to have been documenting the end of an era, for the lingering aura of fin–de–siècle gentility and elegant indulgence conveyed in "Repose" would soon be shattered by massive political and social upheaval in the early 20th century." In the languidness of the pose, and the sprawling dress, the portrait breaks with traditional norms. While still evocative of the privilege and finery of the upper class, there is a slight sense of foreboding in the brooding young woman.